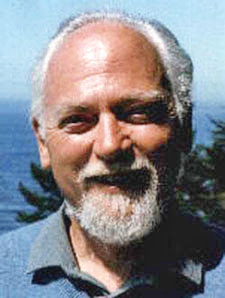 I can now report that Robert Anton Wilson Fans, the invaluable website that had a huge collection of RAW documents, will return soon. The website disappeared months ago, first simply going offline and then morphing into some kind of Japanese cosmetics site. Mike Gathers, who took the initiative to gather together the documents in the first place (with help from the usual gang of suspects, folks such as Michael Johnson) has reclaimed the site and has been hard at work on it. He is not yet ready to announce the URL and other details, but when the site officially opens I will pass on the news and all of the relevant details. Above is a sneak peak at the banner Bobby Campbell designed for the new Robert Anton Wilson Fans site. I'm still waiting to get my hands on one of the rings of power, but Bobby is a continuing source of magic. I was just at a conference on esotericism and one of the papers was about Tolkein-based religion in Post-Soviet nations. During the course of the presentation, my mind wondered to the way in which Illuminatus! adapted Discordianism to the science fiction tradition. By 'adaptation' I mean the way in which Shea and Wilson narrativized a religion previously based on epistles, holy works, and religious documentation into a series of novels that fit somewhat well into the SF of the mid-1970s. 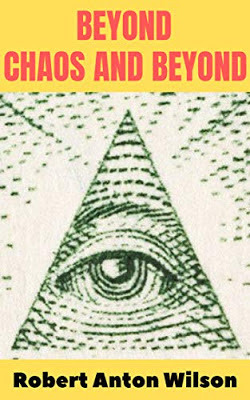 Since Illuminatus! was the primary means by which Discordianism emerged from the obscurity (e.g. the epistolary network & OM), I was led to think of it as a SF religion, in some regards. Similar to the Church of All Worlds, but decentralized on account of Discordianism's focus on spiritual autonomy. On that note, I reckon the best account of this emergence through SF fandom has found your blog Tom. So keep the language flying ! At any rate, here is a link to my friend Markus Davidsen's book on the subject of Tolkein spirituality, which is starting to get some attention in academic circles.